The research findings are published in Antiquity. 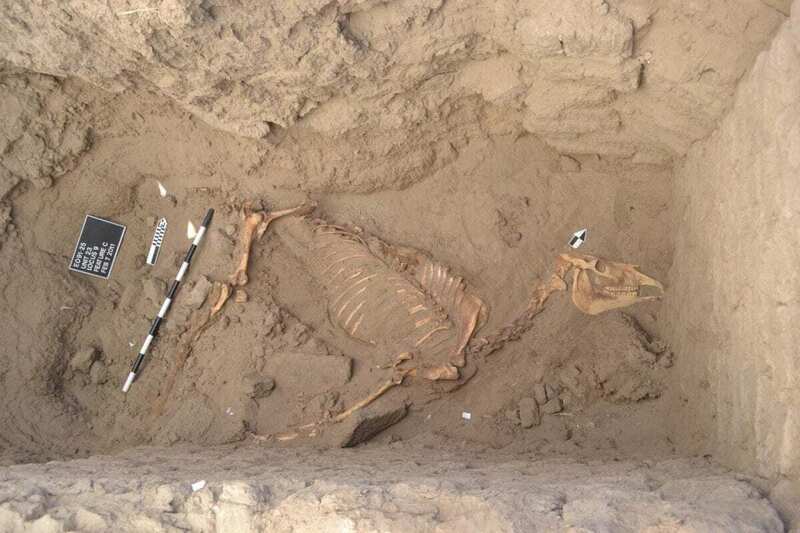 The Tombos horse was discovered in 2011, and members of the Purdue team – professor Michele Buzon and alumna Sarah Schrader – played a part in the excavation and analysis. The horse is dated to the Third Intermediate Period, 1050-728 B.C.E., and it was found more than 5 feet underground in a tomb. The horse, with some chestnut-colored fur remaining, had been buried in a funeral position with a burial shroud.